Only 8 months ago Revolution Skincare launched, since then it’s become a rival for The Ordinary and most inexpensive skincare brands. From serums to moisturiser the skincare sister brand to Makeup Revolution has been missing one thing - face masks. Now I can’t say I’m a beauty blogger that’s always up to date with the latest launches (I blame my sometimes too relaxed personality) but when it comes to products that interest me, I’m there. 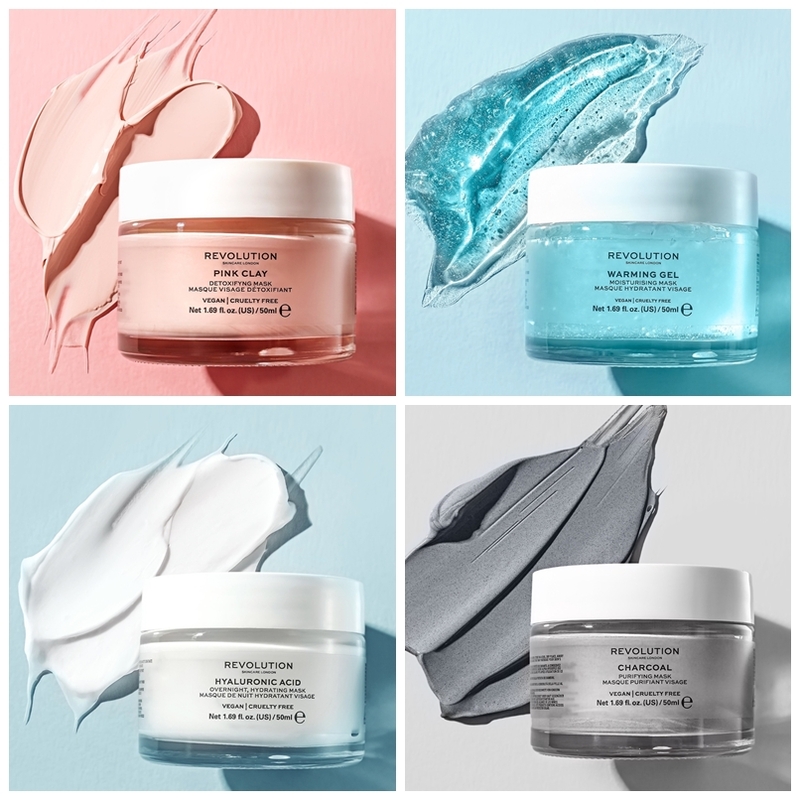 So when I saw the teaser for the new Revolution Skincare Face Mask I was eagerly waiting for them to drop and now they have I have the full scoop for you and an idea of the premium face masks they may be trying to rival or dupe! This detoxing mask is formulated with Seaweed extract and Witch Hazel to help moisturise and soothe problematic areas. Draws out impurities and absorbs oil to encourage a healthier looking complexion. This purifying mud mask contains activated charcoal powder to help draw out oil and dirt from your pores to purify skin and help clear complexion. Treat your skin with this Glycolic Acid and Lactic Acid infused formula for rejuvenating results. This hydrating mask is formulated with Glycerin to help boost hydration levels and keep skin moisturised. The gel-like texture gently heats to open pores to help absorb the skin-boosting ingredients. As for dupes, I can't say much as I have yet to try them for myself however both the Warming Gel Moisturising Mask along with the Charcoal Purifying Mask look similar to that of the Vichy Quenching Mineral and Clarifying Detox Masks! The Revolution Skin Pink Clay Detoxifying Mask also looks like it could be a dupe for popular Sand & Sky Brilliant Skin Purifying Face Mask - which would give a huge saving of £32! With a huge hoard of face masks, I won’t be rushing out and buying all 4 offerings but I will have to try out the Pink Clay face mask as it looks perfect for oily/combination skin types. 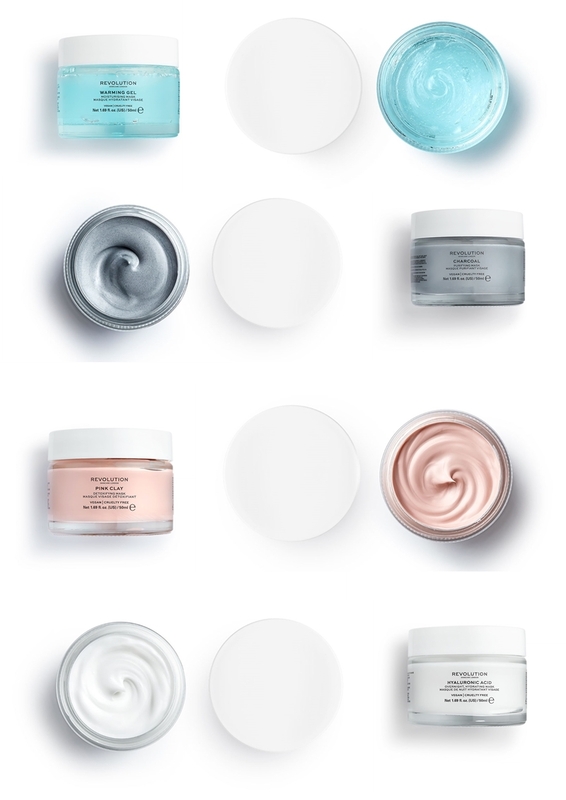 What about you - are you excited about any of the masks Revolution Skincare have dropped?